We are delighted to announce that Winnow has joined Upscale for 2018. The Tech City UK Upscale programme nurtures some of the fastest growing technology companies in the country. Upscale is Tech City UK’s six-month programme that provides world-class advice and mentorship to some of the fastest growing tech companies in the UK. Among the mentors are a number of successful tech entrepreneurs and investors, including the founders of Skype, Blippar, and LoveFilm. This edition of the programme includes companies from across a wide spectrum of sectors. It reflects the growing importance of areas like data analytics, fintech and cybersecurity to the UK economy. Being recognised as one of the most compelling scale-ups in the UK is a validation that we are having a tangible impact on the issue of food waste. And, It’s all thanks to the efforts of all the amazing chefs and managers who work with us. Being part of the Upscale programme will allow us to extend our network and gain access to a strong community of founders. Our co-founder, Marc Zornes, said: “It is a real privilege to be part of Upscale 3.0. We are excited to take Winnow to the next level. It’s a great opportunity to be able to learn from these talented entrepreneurs and industry experts about the challenges that come with scaling up a startup." Food waste is a major global problem, with more than a third of all the food we produce going to waste. 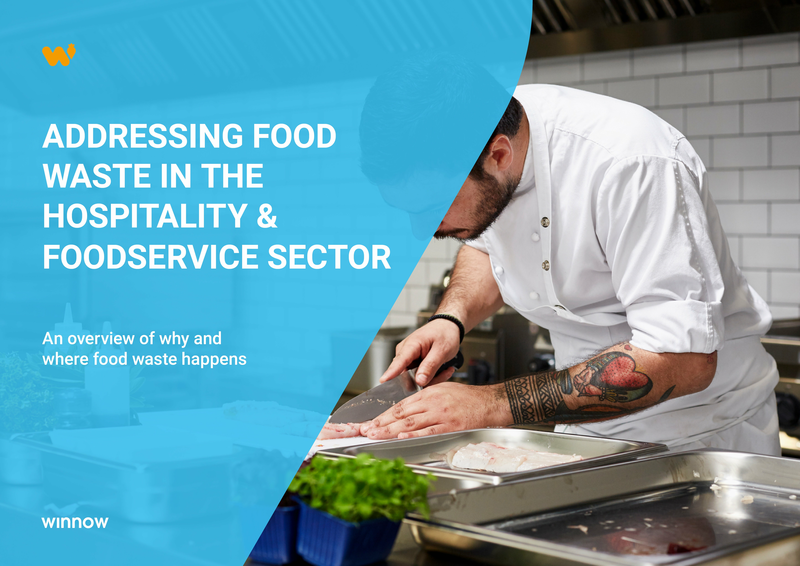 We estimate that $100bn of food is wasted by the hospitality and foodservice industry each year. Today Winnow operates in almost 30 countries, and we work with some of the world’s most renowned brands like Compass Group, Accor Hotels and IKEA. But we are really just at the beginning of a wholesale system change. Soon we will see the entire sector look for ways to reduce their food waste, having an enormous impact on the environment while increasing the efficiency of their operations.